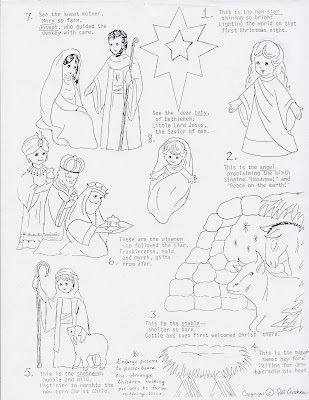 When I wrote "The Nativity Song" (Children's Songbook page 52) I was planning a Christmas program and wanted to do the Nativity without costumes. I drew posterboard-size figures for children to hold instead. Each picture can be enlarged with an opaque projector. Use one color for each character and draw the lines with a black marker. Cut out separate light pink construction paper face and hands and glue in place. Add eyes, etc. and figure is complete. Two characters are put in place with each verse of the song. My figures are laminated and were made in 1979--we still use them every year! Thank you so much for posting these. 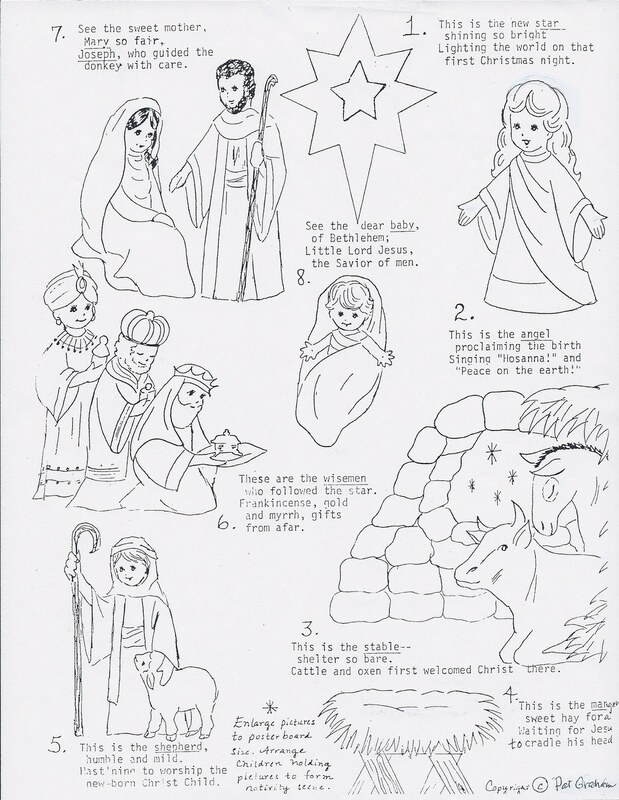 I remember as a child my mom was the primary chorister and I spent many hours tracing and coloring these with her. I LOVE the song. Now I am the chorister for my ward and can't wait to have my own copy! Also, I attended the Layton Music workshop and was so thrilled to have all the tips and resources that you made available. You are so wonderful and have blessed and continue to bless many lives by sharing your love for music. Thank you again!!! Are you still music leader? I am going to add a few things next week that are relevant to 2014 music. I attended the class is Murray today, and just want you to know how much I appreciate all of your preparation and willingness to share your resources. I own both of your books, and live by them! Thank you again! Thank you for your kind words. I'm just responding three years later! I hope you are still teaching. I'm a lucky girl because I got an opaque projector for Christmas. I will, for sure, be making these! Thank you so much! How did your projector work? -I don't know another person who has their own opaque projector! Very handy. I attended your class in Orem in 2009 or so. Now I'm in the Primary Presidency and would love to send our chorister to your class. Is there a way I can find out more information or if you're still holding the class. I'll check back for a reply. I'm not too smart about using this website--I just noticed the reply part and am sorry I didn't respond before. I did a workshop this morning at Day Murray Music--I do one each Jan. If I have another opportunity to teach I will let you know. I'm so glad to have run into this blog site! What a great find. I have one of your books and love it. And, I must say, it's a bit intimidating to have one of your grandchildren singing in my primary. Now I am very curious--what ward are you in? I hope my grandchild is singing well for you. Best wishes! Great gift for the music lover in your life! 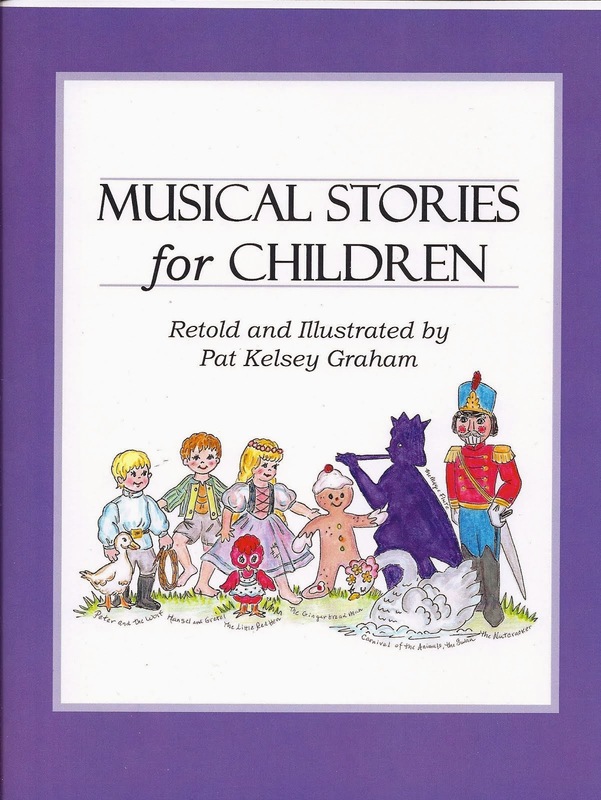 Includes stories with musical themes (Tembo Elephant and the Waterfall, The Little Gingerbread Man, Peter and the Wolf, and the Carnival of the Animals); A Ballet Story (The Nutcracker Ballet); and Opera-- stories that are sung ((In a Dark, Dark, Wood; The Little Red Hen, Hansel and Gretel, and The Magic Flute). I have retold and illustrated these stories with patterns for children to color and already colored pages for the teacher. I have used the activities with pre-school children, my grandchildren, as a public school Music Mom, and for group piano lessons. I firmly believe that children should be exposed to the musical classics, and this is my small attempt to facilitate that effort! 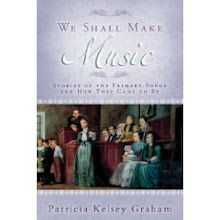 Great Primary resource for leaders, containing a history of Primary, how the Children's Songbook was prepared, and stories about the Primary songs and how they came to be. Click on image to buy direct from Amazon. 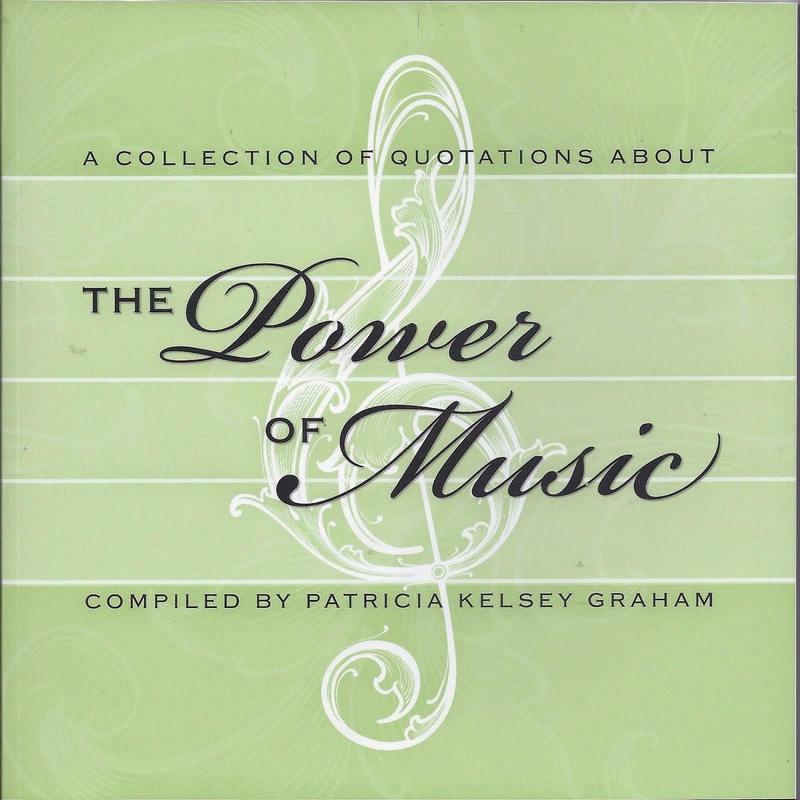 Buy "WSMM" direct from Pat - SAVE 10%! The most complete and versatile resource available to help musicians and non-musicians alike teach children the love of the gospel through music and song! 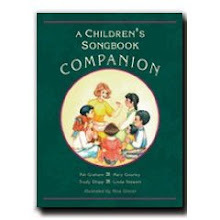 Includes: Complete lesson plans for every song in the Children's Songbook. Buy "ACSC" direct from Pat - SAVE 10%! Published LDS author, composer and artist for over 40 years. Her works can be found throughout "The Friend" Magazine, Children's Primary Songbook, and many other publications found here.